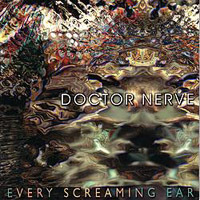 Doctor Nerve, Every Screaming Ear reveals itself as the ultimate Doctor Nerve experience. Every aspect of the band is represented in its context, so to speak: the ultra-complex, light-speed fast tunes, the contemporary chamber works, and the downright craziness that becomes so palpable when seeing the band live. The Nerve experience translates completely to record. All the essential Doctor Nerve is represented on this disc. A must for fans of avant-rock madness.